New analysis of Edward Snowden’s June 9, 2013, interview with the U.K. Guardian newspaper reveals how the self-described NSA surveillance program whistleblower harbors unconscious concerns about PRISM being used to mine online UFO and ET contact-related data as part of an ongoing attempt by the U.S. government to implement tyrannical space wars initiatives. The Guardian describes PRISM as a massive top secret online spying program that “facilitates extensive, in-depth surveillance on live communications and stored information. A report published to alleged PRISM-sponsor YouTube claims that when Edward Snowden (a self-described former senior advisor for the Central Intelligence Agency) cites the emergence of “new and unpredicted threats” as a precedent for the assertion of claims by government to unconstitutional powers, the former telecommunications information systems officer is unconsciously referencing a false flag ET invasion scenario. Reports of involuntary secret messages encrypted backwards within human speech have been substantiated by real-world events including one revelation of military-grade intelligence pertaining to the “Shock and Awe” strikes against Baghdad two years prior to the beginning of the illegal U.S.-led 2003 invasion of Iraq. Transmissions of these messages are detected through the principal of reflection in which audio recordings of human speech are digitally sampled then mirrored for reverse playback and monitoring. The principal of reflection is widely accepted for use in scientific and engineering applications, including the reflector telescope that offers indirect observation of light from celestial objects through the use of a highly-polished mirrored surface. Occurrences of involuntary speech are further known through incidents of sleep-talking and Freudian slips, which convention dictates occur when unconscious signals override voluntary control of the speech organs to offer what can be highly-revealing statements of otherwise undisclosed truths. With this understanding of applied reflection used in studies of involuntary human speech one can consider the following excerpt from the Guardian interview of Edward Snowden and the interpretation that follows. 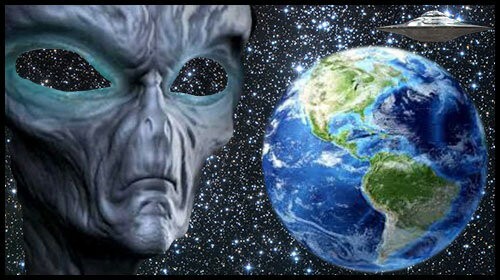 In a 2004 interview with investigative journalist Linda Moulton Howe, Institute for Security and Cooperation in Outer Space founder and president Dr. Carol Rosin related Dr. Wernher von Braun’s anticipation during the 1970s that terrorists, asteroids and ET’s would be categorized under an American “Enemy’s List” to sustain “War Mode” and Pentagon budgets. According to Dr. Rosin, the Project Paperclip scientist who led America’s first landing on the moon in 1969 mentored her in how “starting where I entered the industry with the supposed Russian threat, but never actually existed ­ the Russians were made to be the enemy. Then there would be terrorists, Third World country threats. There would be an asteroid threat. They might even say to us to try to influence the public into believing that there are many reasons for why we should put weapons in space. There might be a reason to protect our assets in space. “But, the real one that he was always holding off on and would say again with tears filling his eyes every time he said this to me repeatedly was that the last card they are holding is the ‘alien card,’ the extraterrestrial card and none of them are hostile. During the Guardian interview, Edward Snowden cited his reasons for allegedly leaking the NSA PRISM documents. 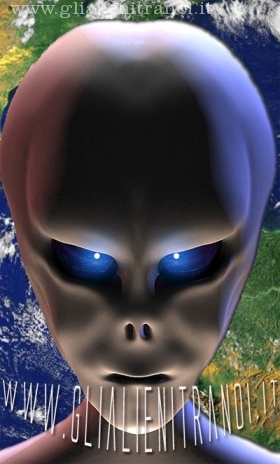 With the UFO and ET contact-related issues underlying his concerns now more clearly illuminated, his statements regarding a culture of denial begin to take on entirely new and perhaps unanticipated meaning. “When you’re in positions of privileged access like a systems administrator for these sort of intelligence community agencies, you’re exposed to a lot more information on a broader scale than the average employee. And because of that you see things that may be disturbing but over the course of a normal person’s career you’d only see one or two of these instances. In light of the newly-revealed UFO and ET contact-related context in which the NSA PRISM leak appears to have occurred, further meaning can also be derived from U.S. Director of National Intelligence James Clapper’s written response, suggesting how PRISM could be targeting ET persons of interest. The June 6, 2013 “DNI Statement on Activities Authorized Under Section 702 of FISA” describes how “Activities authorized by Section 702 are subject to oversight by the Foreign Intelligence Surveillance Court, the Executive Branch, and Congress. Regarding how PRISM uses information: “Users of PRISM are involved with the procurement of goods and services as well as the maintenance and security of the supporting information needed to accomplish these tasks for FAA. During a June 9, 2013, interview with Iranian PressTV, international law expert Alfred Lambremont Webre argued that in terms of the alleged legality of NSA spying on Internet users, DNI “James Clapper is lying because under the Obama administration, his use of section 215 of the legislation that he’s citing, in which he’s saying that any tangible item of anyone can be taken, from financial records to any other records. “The actions that he is undertaking violate the first amendment of the US Constitution of freedom of speech; the fourth amendment against unreasonable search and seizure; the fifth amendment against self-incrimination; and the fourteenth amendment as applied to all of the states. UFO Over Cornwall In Leaked Snowden Documents?